Government Agencies at every level have dozens of departments that each have specific processes, regulations and requirements they need to manage- and most of those processes are paper-intensive. Documents maintained by government entities need to be in strict compliance and require solid security measures to ensure their systems aren’t compromised. Digitizing files and automating processes provide increased productivity and allows you to stretch the budget a bit further by eliminating costly onsite storage and paper document management costs. Automate your document workflow and allow you to track and improve productivity. Provide mobile and remote access to any file whenever and wherever you need it. Eliminate the risk of duplication and restrict access to critical or sensitive documents. Decrease the time it takes to process meeting agenda approvals. A document management system is one of the easiest ways for public entities and governmental agencies to add real-time, department-wide access to files without having to add infrastructure or additional servers to your system. Improve efficiency and increase transparency with a scale-able, easy-to-manage library of secured electronic documents- get a free quote today! 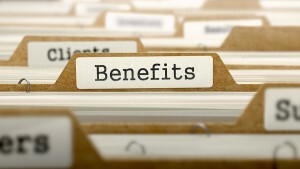 Benefits Concept. Word on Folder Register of Card Index. Selective Focus. Don’t utilize a separate system for each individual department- a document management system will provide you with one place to store and retrieve all your document and files, allowing for instant retrieval with a simple keyword search. Government agencies tend to have a lot of required approvals for any project- and the stacks of documents involved with each level of approval. Monitor the progress of a file and automate the document management process to eliminate the headaches of tracking down those hard-to-find signatures. Virtually any electronic document management system will eliminate the chance that an outdated or incorrect version of a RFP or critical document being passed along for approval. Version control allows you to see who uploaded the latest version, removing all doubt about where the file is in your approval process. One of the most time-consuming long-term duties of any government office is managing and renegotiating vendor contracts. Digital documents can streamline and automate this process, allowing you to easily track changes to the contract, change orders, approvals, contract expiration, renewal, and renegotiation timelines. A paperless office can really help Government Agencies optimize and streamline their processes. Use Record Nations to find an expert to help convert your records to digital and save time, space and headaches related to hard-copy document management. 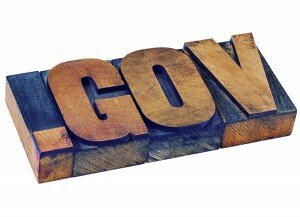 Get Free, No-Hassle Quotes on Document Management Services for Government Agencies Today! Get free quotes that will connect you to a local scanning and document management provider that can scan any document or file, and provide you with an easy-to-manage system that allows you to find any contract, RFP, or vendor agreement quickly and easily.